Happy New Year to you, readers! The first week of 2013 has brought about some interesting marine-related developments that are worth blogging about! At midnight on January 5th, a magnitude 7.5 earthquake struck offshore southwest of Juneau, Alaska, prompting several tsunami warnings as further information was gathered about the quake. While the quake caused a small amount of damage inshore, the tsunami warning was quickly canceled an hour later, as water levels barely rose 1 foot above normal tidal level. 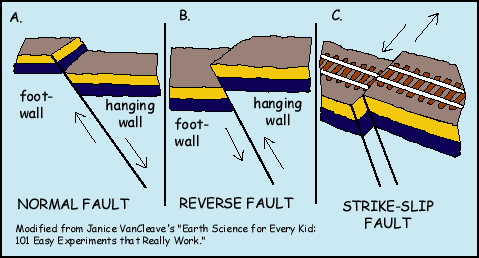 This is due to the tectonics of the earthquake, which was a slip-strike quake- a form of earthquake where two tectonic plates slide past each other horizontally, creating an earthquake but not much potential for an uplifting of water. The worst tsunamis are generally created by megathrust or reverse fault quakes, where one portion of the Earth's crust is abruptly uplifted, forcefully moving the water column. The force of this propagates outwardly in a wave pattern, eventually hitting surrounding shores. The 2011 tsunamis were caused by a megathrust earthquake. A small earthquake struck again near Juneau this morning (January 8th) with a magnitude of 4.0 near the same epicenter. Further down the eastern Pacific shoreline, officials in Washington have finally been able to reach the dock that washed up on a La Push beach (See last week's post). Removal efforts have yet been planned, but much like the dock that washed up on Agate Beach, OR, biological contaminants were a priority until removal efforts can take place. Like the Newport dock, animal and plant life was removed with scouring, scraping, burning and cataloging more than 400 pounds of organic material, including up to 50 species native to Japan. Unlike the Newport, OR dock, this one is quite inaccessible for removal crews, and the area has been temporarily closed off to the public. The dock was only reached by crews traveling miles of logging roads, trails, and shoreline (kxro.wordpress.com). Solid cement and re-bar, this dock will likely have to be removed by boat, as vehicles are not a likely option at this point. Until then, it will sit as a reminder of ecological difficulties yet to come.